•	DSITM offers cutting edge Technical and Management skill-set required to be competitive In a dynamically changing and continuously changing working environment. •	The class room discussions comprise of an amalgamation of theory and practice through a perfect blend of lectures, teamwork, experimental learning etc. 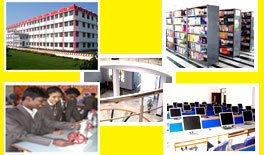 Major Goal of DSITM is to impart uniquely broad and interdisciplinary Technical education of the highest academic quality.